It’s no secret by now that many consumers are looking for healthier foods made with clean, natural ingredients. As more and more consumers look for products that are healthier, many are turning to “free-from” foods with the impression that foods that are fat-free, sugar-free, or GMO-free are better for you. 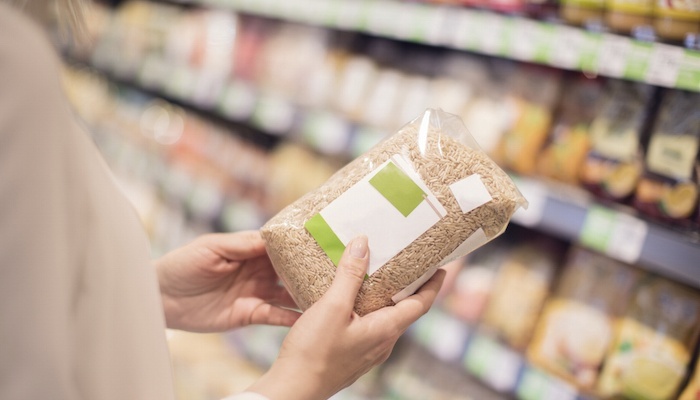 In fact, 43% of consumers say free-from foods are better than foods without a free-from claim, while another 59% believe that the fewer ingredients a product has, the healthier it is. It’s beliefs like these that have caused many major food brands to remove artificial ingredients from their products over the past few years, as 84% of today’s consumers buy free-from foods as a way to get more natural or less processed foods. Consumers also place an emphasis on the naturalness of their foods, so they’re extra vigilant for products that can boast more natural ingredients while reducing calories and fat which continue to be important to consumers. “With today’s consumers being so health-conscious and curious about what goes into their food, many are fairly selective about which ingredients to avoid and which ones to seek out. Once they’ve learned about the benefits and health differences between natural and unnatural products, it’s hard to convince them to purchase a more traditional, unhealthy product,” says Kate Petrie, Food Technologist at Grande Custom Ingredients Group. While consumers are actively seeking out healthier foods, however, it’s up to manufacturers to make foods that both taste great and provide multiple nutritional benefits. Though health is very important, taste is the ultimate deciding factor when it comes to choosing which product to buy, so manufacturers must walk a thin line when formulating a product that both tastes great and is healthy. One way manufacturers can accomplish this is by using natural whey protein products, like Grande Bravo®, to reduce or replace high-fat, high-cost ingredients, high calorie and swap them with the natural, single ingredient whey protein. Grande Bravo functional whey protein can specifically be used to replace premium ingredients like milk, butter, cream, cheese, and eggs, and is perfect for texture-rich applications like dips, dressings, soups, sauces, and frozen desserts. Plus, whey protein’s clean, neutral taste helps ensure your product reformulation will be smooth, with no disruptions in flavor. To learn more about how you can use whey protein to create healthier, more appealing foods, download our free Grande Bravo Application Impact Analysis or contact our food scientists today.